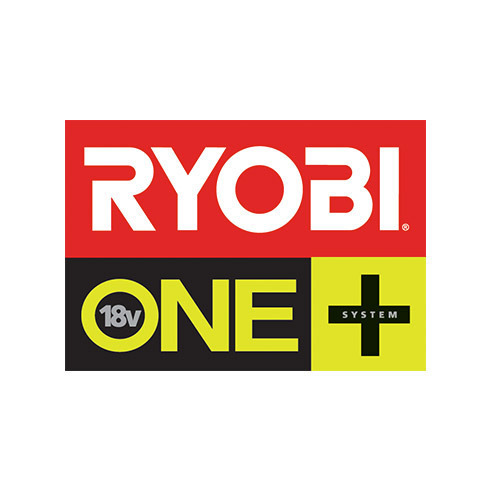 RYOBI® delivers more runtime and air flow with the 18V ONE+™ Portable Fan. 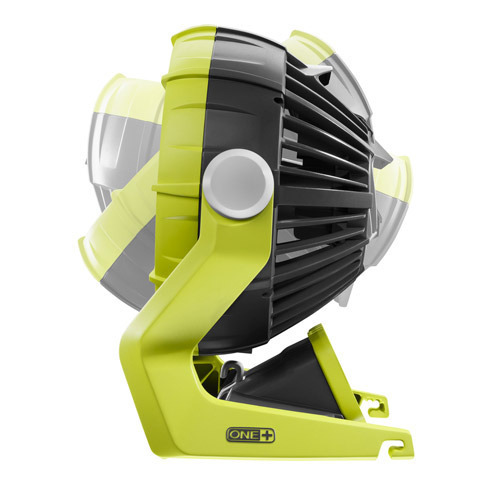 This Portable Fan runs for up to 10 hours using the P108 4Ah High Capacity LITHIUM+™ battery on the low setting (sold separately). 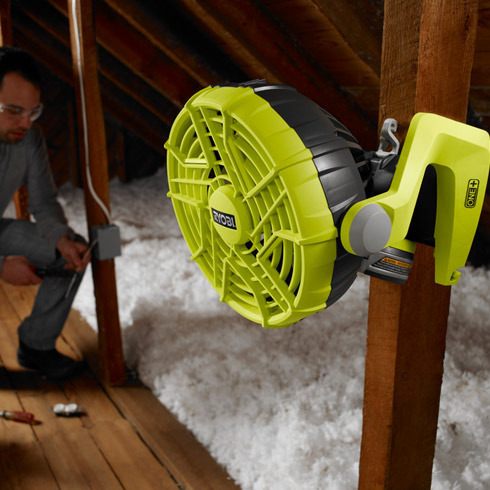 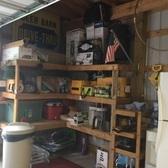 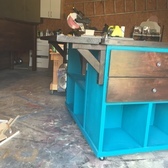 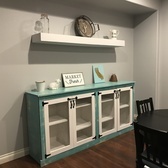 The fan delivers over 30% more air flow than the previous model and features hooks for hanging and holes for mounting with screws. 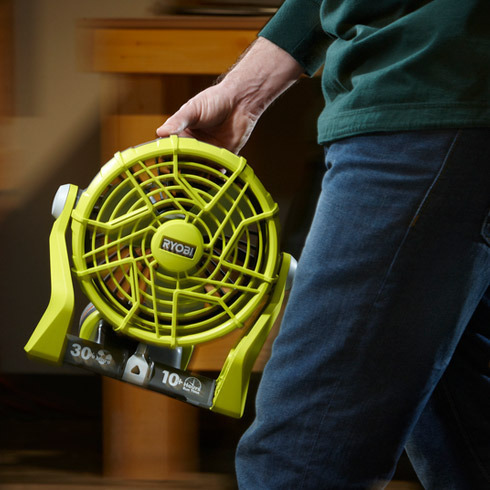 Use the integrated handle to carry the fan to any location with ease. 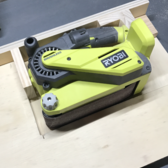 The 18V ONE+™ Portable Fan is sold as a bare tool, allowing you to build on your ONE+™ collection without spending additional money on batteries and chargers with each tool purchase. 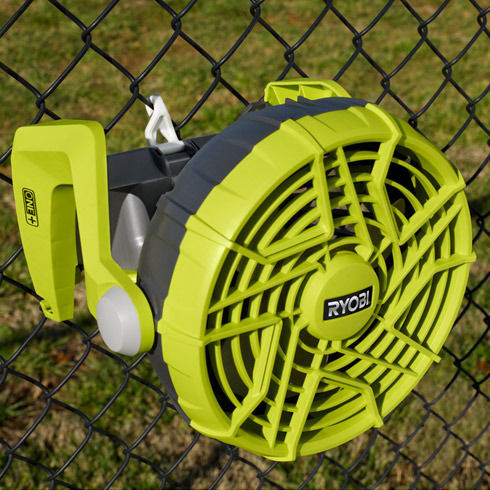 Best of all, like every RYOBI® 18V ONE+™ blue or green tool, this Portable Fan works with any 18V ONE+™ battery. Upgrade to lithium-ion or LITHIUM+™ batteries for lighter weight and better performance.